Added pressure from snug-fitting shoes and certain foot deformities can increase your chances of developing corns and calluses. 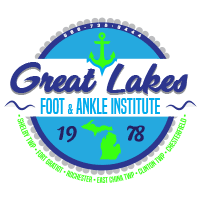 Whether your corns and calluses are causing discomfort, or they’re simply unsightly, the leading podiatrists at Great Lakes Foot and Ankle Institute PC can help. Call your closest office in Chesterfield, Clinton Township, Fort Gratiot, East China Township, Shelby Township, or Rochester, Michigan, to book your exam. You can also click on the online booking feature to schedule. Why do I have corns and calluses? Because trimming or trying to treat your corns and calluses on your own puts you at risk of developing a serious infection, you need to seek medical attention at the first signs of a corn or callus. Do corns and calluses cause symptoms? Not always — usually they’re just visually unsightly. Corns tend to develop on non-weight-bearing areas, such as across the tops of your toes. They form as your toes get pushed up against the insides of your shoes and your skin becomes thicker and thicker. Corns can become painful and irritated. Calluses are larger, often thicker patches of dry, flaky skin. They usually develop on weight-bearing areas of your feet, such as your heels. Calluses are rarely painful. The bigger issue with untreated calluses is that your skin can become so dry and brittle, it starts cracking and bleeding, which can leave you more susceptible to developing an infection. This is particularly of concern if you have diabetes or circulation problems since you can’t recover as quickly. Your dedicated podiatrist at Great Lakes Foot and Ankle Institute PC treats corns and calluses right in the office, then counsels you on preventing future issues. In most cases, treating corns and calluses involves using a clinical-strength salicylic acid medication to soften your skin. Your practitioner may also pare down or trim away damaged skin with a sterile scalpel. Once your current corns and calluses are treated, your podiatrist shows you how to care for your feet at home and helps you select a proper foot softening cream for daily use. If you continue developing corns and calluses due to a bunion, hammertoe, or other types of deformity, your podiatrist might also suggest treating the underlying issue. Get relief from corns and calluses at Great Lakes Foot and Ankle Institute PC right away. Book your visit online or call your closest clinic location directly.